RELAXING IN THE SUN The few afternoons we had beautiful sunshiny days. We relaxed at the pool and soaked up the sun. In addition I decided to try the Haman (steam room) and spa and gave it mixed reviews.The Haman was built in the old Maroccon tradition with three rooms each getting progressively hotter than the previous other. Stone and tile benches, arches and a water spout for hot water to warm the room. Once you were in the Haman you felt like you were taken back in ancient times.The massages I believe are knew to the Maroccon people and aimed at the tourists. We were even somewhat surprised to see Muslim woman wearing scarves providing massages to the men (the men have to keep their bathing suits on by the way). Jean had a massage but described it as a waste of money. The women who gave it, religious and possibly scared, had her friend sit in the room the whole time for presumed safety, while they talked and screamed non-stop and the friend even brought lunch in and chewed loudly while the chatter never stopped. Needless to say, relaxing it was not at all. Jean canceled his next appointment and opted for a hike instead. Mine was better and I think it was because of the gender issue, even though it was not your typical relaxing massage.The one masseuse I had was terrific and the other mediocre. The masseuse also talked non-stop with a colleague at the front desk, more like screaming in Arabic, versus giving massage treatment. So much for cross-cultural training on other�s habits and needs, as somehow their training in tourist ways, completely missed the point that a massage was supposed to be relaxing, rejuvenating and a quiet and peaceful experience. We chalked it up to Morocco and the culture learning Western ways and let the hotel know about the problem that needed attention. 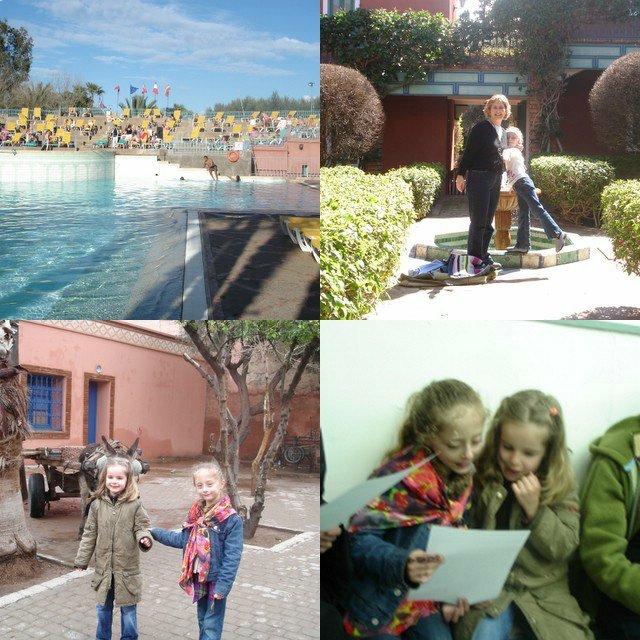 Overall, Morocco was fascinating; we enjoyed it very much and definitely could go back another time. If you plan to go, just be safety conscious and use common sense. Fortunately, my friend Dina had given us some solid advice before we went about eating, drinking and the market and we therefore never got sick as most other tourists did, and had a fascinating time.